Easter Weekend 2019 in Southern & Western Maryland has a lot to offer for events, dining and more. Enjoy an Easter Sunday brunch in Southern & Western Maryland or check out one of the family friendly events for Easter. Be sure to check out the local Southern & Western Maryland Maryland events guide to find the perfect plans for Easter Weekend. This is a fun day for Family, and Friends to come to enjoy a wonderful afternoon and evening of Easter Egg Hunting, Shopping with vendors, and Live Music entertainment. We are excited about our Easter Celebration. We will have an Easter Egg Hunt, crafts and refreshments. Join us to put smiles on the faces of the senior community. Uplift Church, one of Laurel’s newest churches, is hosting a community wide Easter celebration. “Easter at Uplift” will take place on Sunday, April 21st immediately following the 10:30am morning worship service. Celebrate Easter with a delicious brunch and some baseball! 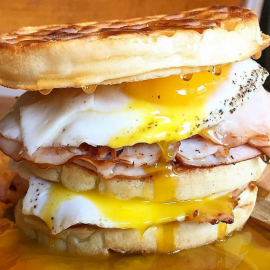 Join us on Sunday, April 21st for a special brunch menu in the Mattress Warehouse Club to celebrate the holiday. Each And Every "Sip Sumthin' Sunday" We're Bringing The Hottest Party Event To The DMV! Hop on over to Center Court to capture your families holiday moments with the Easter Bunny! Bring the entire family out for an evening of fun! There will be an Egg Hunt, candy, giveaways and more! Jack & Jill of America, Inc. Southern Maryland Chapter presents a family, fun, 5K Walk or Run. The flat pavement provides the opportunity for children to ride their scooters, tricycles, skates, and bikes. 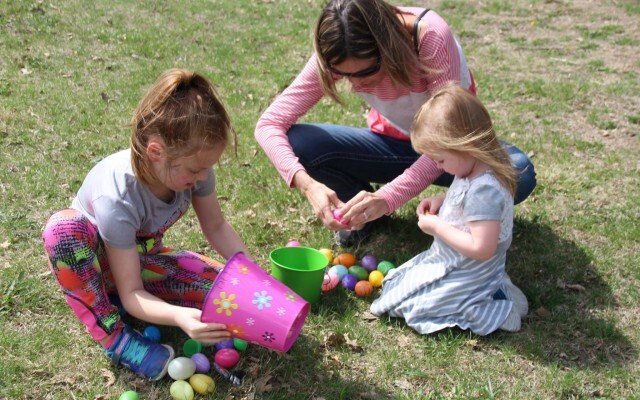 Hop� your way to Powder Mill Village for our annual Egg Hunt. Join Epworth UMC and Epworth EPK for our 7th annual Easter Egg Hunt! Bring your children for a time of fun for the whole family! Join us for Family Fun Day as we celebrate Spring with sweet surprises, face painting, cotton candy, tastings and more. This is our community kid's event held the Saturday before Palm Sunday. I's a fun, FREE, family event. Rain or shine. Join us for a Spring Fashion Show hosted by Lord + Taylor for all ages at the Bunny Set at Center Court. We'll have a surprise visit from the Bunny. We have partnered up with Habitat for Hummanity in Washington County. We will be collecting items at the door in exchange for tickets towards raffle prize. This is our annual Children's Easter Party that includes arts and crafts, games for the kids and a special visit from Easter Bunny. Kids come and have a hopping good time. Come in dressed to impress wearing your best Easter attire and leave with an awesome prize! Capture you Holiday moments with you whole family-- furry friends included! Register for 1-time slot (1 ticket) per family/group. Event ticket is free. Photo packages available for purchase. If you are looking for things to do for Easter in Southern & Western Maryland, then check out the 301area Southern & Western Maryland Guide. You can find events, restaurants, recreation and more. There are plenty of Events and Things to Do in Southern & Western Maryland for Easter Weekend. Know of events in your area that are not listed below, then post events on the website to help others looking for things to do. All logos and trademarks in this site are property of their respective owner. The comments and listings are property of their posters. All the rest Copyright © 2019 by 301area.com. All Rights Reserved.